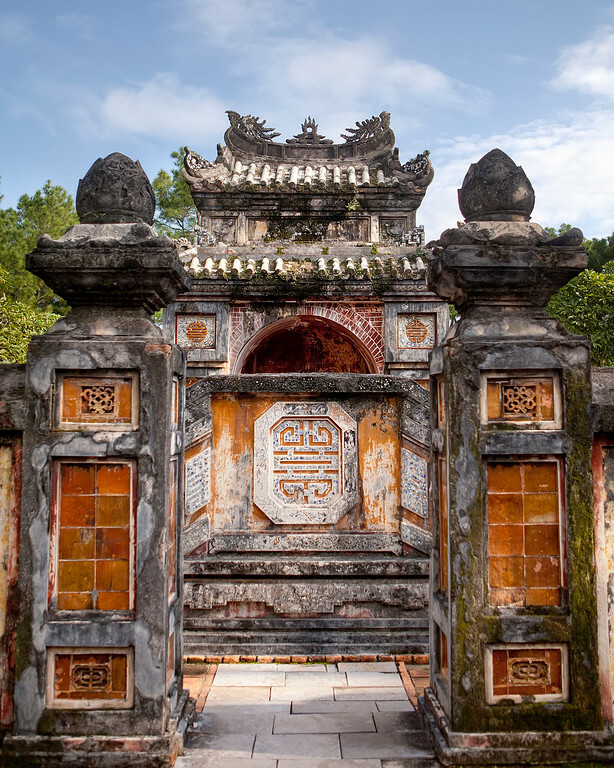 This is one of the smaller sites at My Son, Vietnam. I liked the way the grass is trying to take back the structure. We took a packaged tour to My Son and wound up on a big bus tour. I’m not very good at sticking with big groups of people and wandered off pretty quickly. 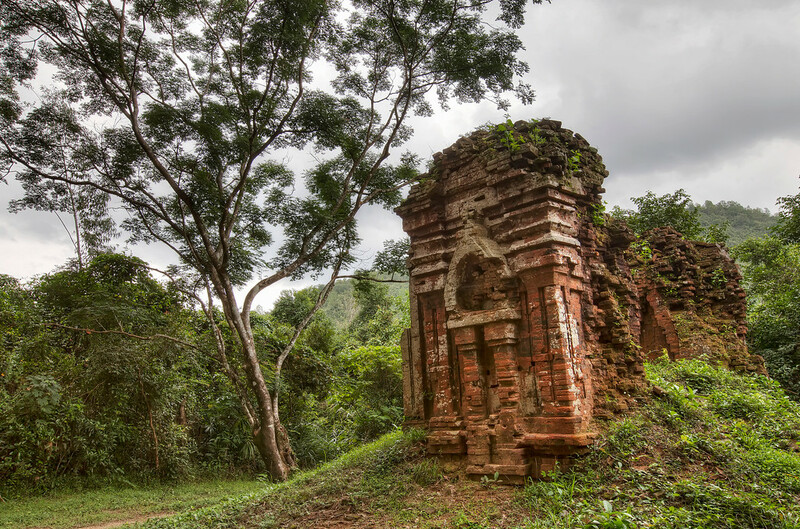 A lot of this Hindu temple complex was ruined in the Vietnam war and the remaining bomb craters were a clear reminder of this – some were huge. There were a number of tours moving around so once I had this photo set up I had to wait quite a while for them all to move on. 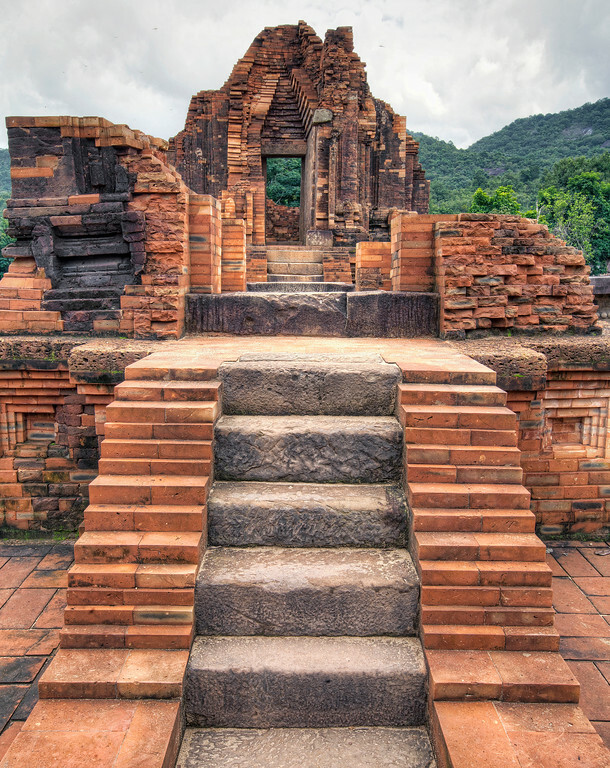 I have a version with no people in it but decided I liked this one with a backpacker looking up at one of the temples. 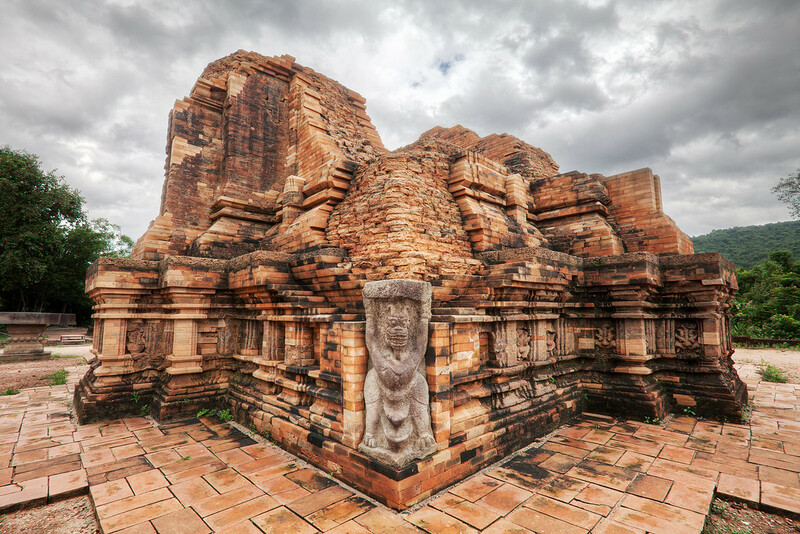 The Champa Hindu temples called My Son are a day trip from Hoi An. We went on an organised tour but wished we’d just rented a motorcycle and found our own way there. There was one strange moment when we were close to the temples where they made us all get off the bus to follow it across what appeared to be a perfectly sturdy modern bridge. On the way out, they didn’t make us get off at all. It was odd. It didn’t take me long to wander away from the tour group. 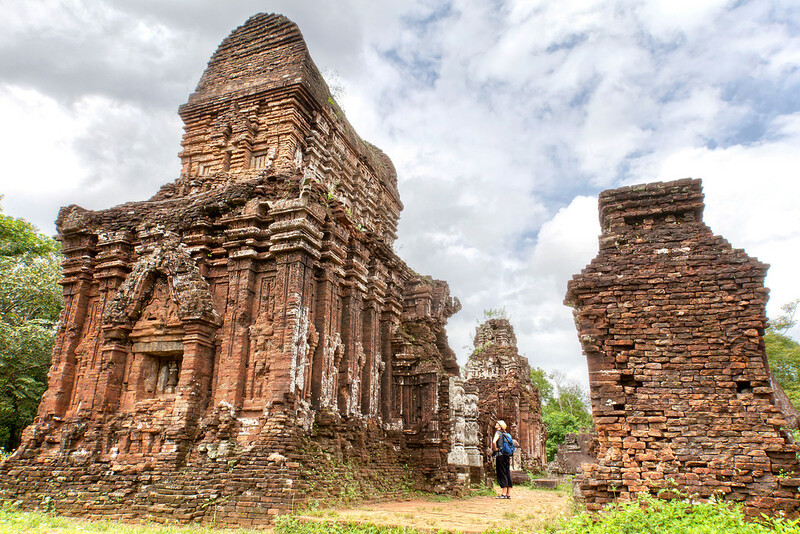 Most of the site was damaged by American bombing in the Vietnam war. You could see the craters from bomb blasts all around. I was pretty happy when I found this guy still intact.